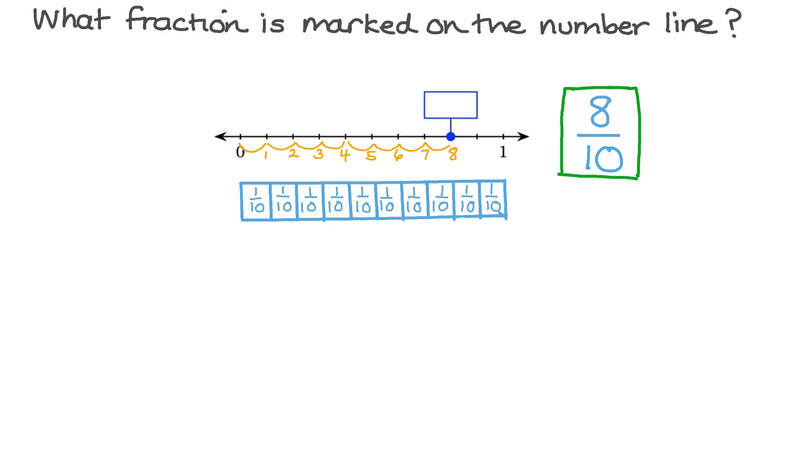 In this lesson, we will learn how to represent fractions by locating them on a number line. 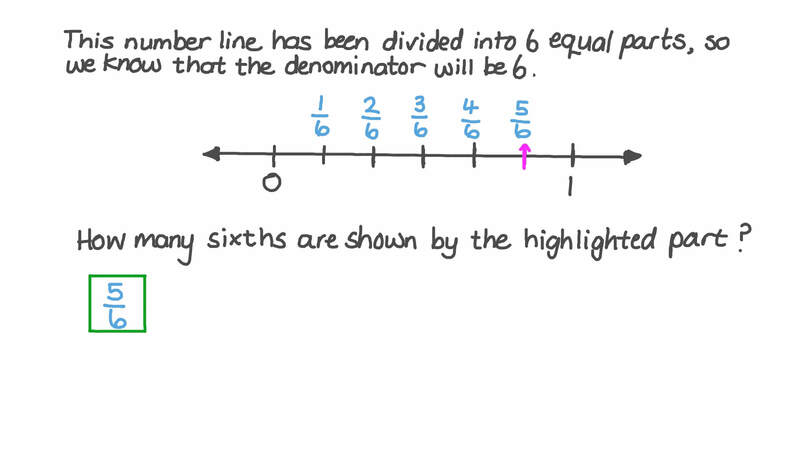 What fraction is marked on the number line? Nader is using a number line to understand fractions. Which one should he use to show sixths? Pick the reason why he should use this number line. AIt has been divided into 6 unequal parts. BIt has been divided into 6 equal parts. CIt shows 6 lines between 0 and 1. This number line has been divided into 6 equal parts, so we know that the denominator will be 6.